This statistic displays a ranking of bad experiences visitors had at festivals in the United Kingdom as of 2016. Most commonly reported, at 43 percent of respondents, was "favorite bands clashing." 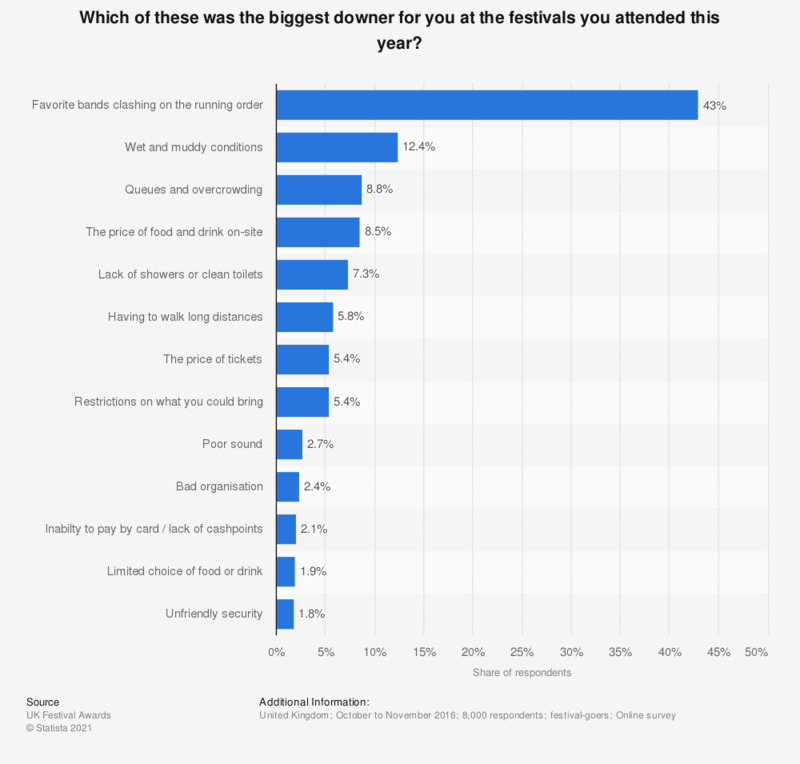 Of respondents, 12.4 percent reported wet and muddy conditions as the most negative festival experience.